Eggs are a great source of protein and rich in a range of other nutrients, including vitamin K which is essential for bone health and omelettes are really quick and easy to rustle up. If you don't have any fresh herbs at hand, use a small pinch of dried oregano and dried mint will work well too. Wash and chop the tarragon, chives and parsley. Break the eggs into a mixing bowl and add the chopped herbs. Season lightly with salt and black pepper and beat with a fork. Put a small frying pan over a medium heat, add the butter and swirl it around the pan. Turn the heat to high and when the butter starts to foam add the egg mixture. As the outside edge of the omelette starts to set, use a spatula to draw the mixture to the centre of the pan, allowing the liquid egg to run into the gaps. Do this for a couple of minutes until the edge of the omelette is set and the middle is almost set. Take it off the heat. 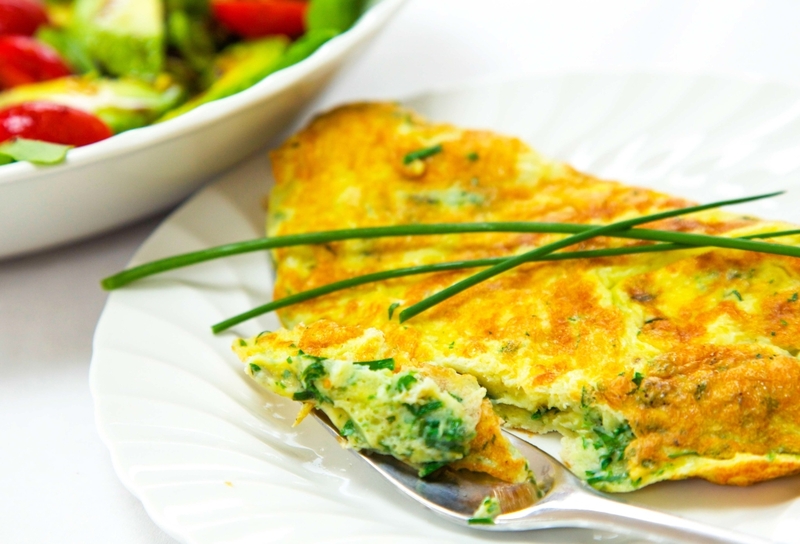 Use the spatula to fold the omelette in half and slide on to a plate. Serve immediately.